Yesterday my talented friend Sara came over for us to shoot the first photos of our new series. 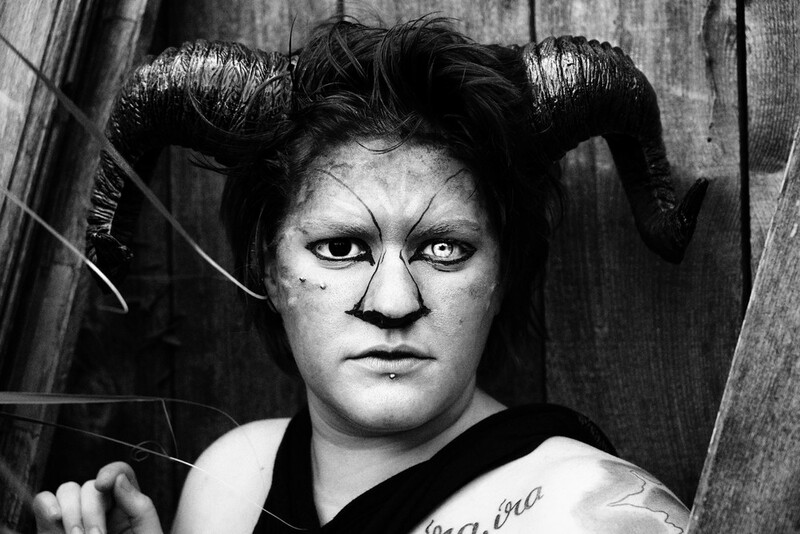 As she is an Aries we decided to depict her with ram's horns and full face makeup. Sara did her own styling and makeup and I chose the backgrounds and most of the poses. Here are the resulting photos (I have to add, this was such an incredibly fun shoot).